In this modern fashionable era everyone is concern about their beauty and wants to look cool, fashionable and beautiful. Most of the people are concern with their hair problem to overcome the beauty problems because most of the people use to notice other people hairs as a benchmark for the beauty. Different people have different types of hairs which may not suit to their fashion and they want to overcome the problem. Most of the people want to have long, thick and straight hairs because they think that it will increase their beauty as their hairs will look healthy and stylish. Moreover by having straight hairs they can easily adopt different types of hair styles and they can get the confidence which they need that they look beautiful. Trends and fashions change but the demand of having straight hairs always remains constant. In market there are different types of hair straightening products available. Some of them are effective to make hairs straight while other or not. These hair straightening products are made across the world by different multinational and local companies. The most common hair straightening products are shampoos, creams, gels, oils and hair straightener. People who use the hair straightening shampoos are not very satisfied from the results because after drying hairs, it gets frizzy again and they do not get the desired results. Some people use gels and creams in order to keep their hairs straight. But every time they want to keep their hairs straight, they use to apply the gel or cream after washing their hairs or first they have to moisturize their hairs which is very time consuming process and the hairs looks very oily and they feel the fair that the cream or gel which may be containing some chemicals and their hairs can be damaged after using these gels or creams for certain period. Applying oils are also not effective to keep the hairs straight and people do not feel confided to go in public with oily hairs. Hair straightening sprays are also not effective as it does not give good results and after all it also contains harmful chemicals which can damage hairs. Some people use hair straightener but the results depends upon the quality and the hair straightener can also damage the hairs by putting the hot iron on their hairs every day although the risk of during the hairs can be reduced by applying the cream before using the electric hair straightener. People who want to have get straight hairs will normally be affording the huge cost of the hair straitening products like, they have to switch their shampoo and will need to get new one from the market specialized for hair straightening, they have to buy conditioners, gels, creams, serums, sprays and other such products. All these products will be them a lot of cost which may not be affordable for everyone. But there is a good solution available on Aliza Beauty for all the hair beauty needs. The products available on Aliza Beauty are a quick solution to get the desired beauty and style for hairs. All the products are available on very reasonable prices and the most interesting think is that the delivery is free and customers will not have to pay for the delivery of the products. Even the prices of the products are very low but still the quality is great. Anyone who wants to buy the hair beauty products can get easily from Aliza Beauty on a single click. These products are light weight and can be used easily and moreover there are different heat settings which the users can set according to their needs and the requirement according to their hairs, as some people hairs are thick and some have fine hairs. So by using the products everyone can enjoy long lasting straight hairs and get the hair style which they want to have. The competitive and more affordable prices of the products make the affordability of the customers easily as they are available on very low prices as compared to the market with a great assuredly to the quality of the products. In case of any question the customers can also contact the customer care through email and they will get the solution or feedback about their query on time basis. 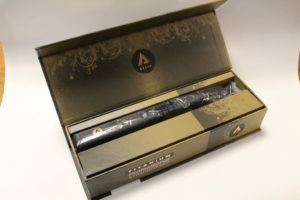 Basically there are two main products for hair straightening purpose available on Aliza Beauty, one is Aliza ceramic straightener and the other product is Aliza Titanium Professional Straightener. Aliza Ceramic Straightener is professionally designed to suit the requirement of every type of hairs and give long lasting straight hairs by a single use. 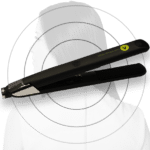 The use of the this straightener is also very easy and fantastic thing is that it do not affect the natural shine of the hairs as most of the hair straightener damages the hairs and hairs do not look shiny after that. There is thirty different heat setting available which everyone can use and adjust according to their need and requirement based upon the health of their hairs. The smooth ceramic plates also make the straightener more effective and gives perfect results. And finally its light weight gives the user the power and potential to use it as much as they need and they can use it anywhere can easily be carried. While the Aliza Titanium Hair Straightener is heavy duty can be used in professional saloons and beauty parlors. It can also be used for thick and hard hairs which cannot be easily straight by normal hair straightener. 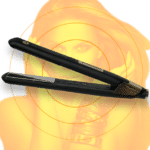 This heavy duty hair straightener is also very light in weight and there are fifteen heat settings which can be adjusted according to the hairs and best results will be obtained from that. 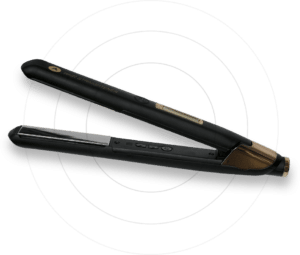 These two products are best in quality and results and are available at very low prices and the user do not need to use any other combination with such straightener. Anyone who want to have shiny straight hairs can order their desired straightener from Aliza Beauty.